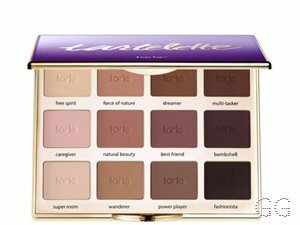 How many stars do you give Tartelette Amazonian clay matte palette by Tarte? 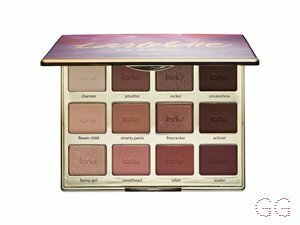 Tarte Tartelette Amazonian clay matte palette is available to buy at Tarte. An all matte palette with 12 exclusive eyeshadows inspired by real tartelettes just like you. I couldn't wait to get my hand on this palette, so when I finally managed to get it to UK I was the happiest person alive. The packaging is very sleek, almost like a little case with eyeshadows. It has a good sized mirror which makes it easy to travel with as it doesn't take too much space! 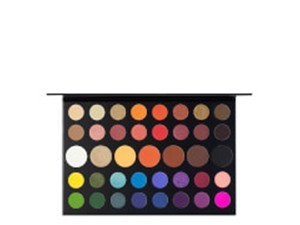 There are 12 shadows inside the palette, and all of them are fairly neutral. The middle row of the palette goes more towards pink-purple shades, while the rest of the colors vary from light topes to darker browns/black. All the eyeshadow are completely matte without any shimmer or sheen. Most of the shades are very pigmented, the texture is very smooth and soft therefore these eyeshadows blends very easily! 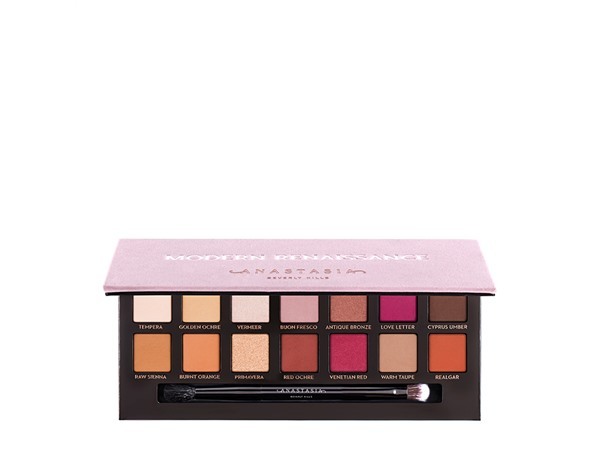 Overall, I think this palette is a great addition to the collection. You can create many interesting looks with these colors, but for my liking, I am lacking a few shimmery shades. Amestarz, nikola300 and Brooke500 like this. Received as a gift a while ago and still love to this day. Even the lightest tones show up so pigmented including the grey which I was surprises would actually turn out so well. They are so good for base colours, I was able to get so many different looks out of this palette! Beautifully pigmented, well worth the 10 day wait! So, this palette had been in and out of my basket for about 6 months since spending £42 on the ABH Modern Renaissance and hating it...yes controversial I know. 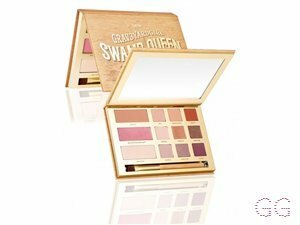 15% off and free p&p swayed me in the end and even though I got ratty waiting for it to arrive, I have to say it's one of the best palettes I have used. The colours are very buttery, deeply pigmented and blend beautifully. The staying power is fab too as I don't need to touch up during the day, it still looks the same when I remove it at night. Since hitting my 40's I have realised that matte eye shadows are much more flattering on slightly crepey lids, and if it has the right buttery texture like this palette you can still achieve a bang up to date look with the right colours and shading. 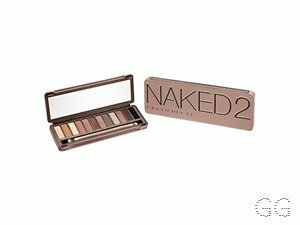 Another thing I love about this palette is that you can also use it wet as an eyeliner, especially the 3 darker shades as they compliment the other shadows. As well as a large handy mirror that comes with this palette there is tutorial card to help you achieve some fab looks using the colours inside. 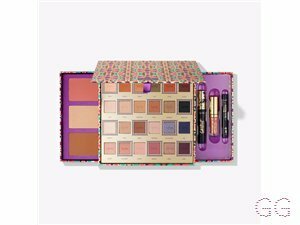 I didn't wait six months to buy my next Tarte palette...more like 6 hours! I am in my mid 40's with sensitive, light tone skin and blue eyes. My hair is blonde, processed with normal texture. MakeUpGeek, Beautyviews and Lickle-Boo and 11 others like this. I love love love this palette. The colours are well pigmented and long lasting. I always use a eyeshadow primer too which helps. Can create so many looks with this...and I particularly like the rose colours to create a rose pink eye with brown undertones. Looks really classy. I am in my late 20's/early 30's with normal, light tone skin and brown eyes. My hair is dark brown, normal with normal texture. MakeUpGeek, Lickle-Boo and Amestarz and 3 others like this. I love this palette! The pigment of the shadows is unlike anything I've tried before. The shadows are buttery, blending effortlessly, but do not leave fall out under your eyes! Couldn't recommend this beautiful palette enough!! I am in my late teens/early 20's with combination, light tone skin and grey eyes. My hair is blonde, dry with fine texture. katherinedrabble, Coralbox and Lickle-Boo and 2 others like this. Wonderful purchase! Can't recommend enough! Colours are so pigmented; you don't need to load your brushes with too much product at all, saving on wastage. No primer is required, as they're so long lasting - always a bonus. 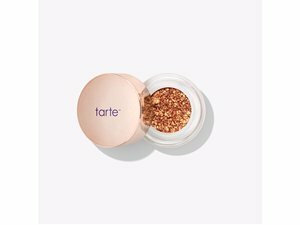 So happy with my first Tarte purchase - convert!! I am in my late 20's/early 30's with acne/problem, medium tone skin and hazel eyes. My hair is medium brown, combination with fine texture. I am in my mid 20's with combination, tanned tone skin and brown eyes. My hair is dark brown, combination with normal texture.